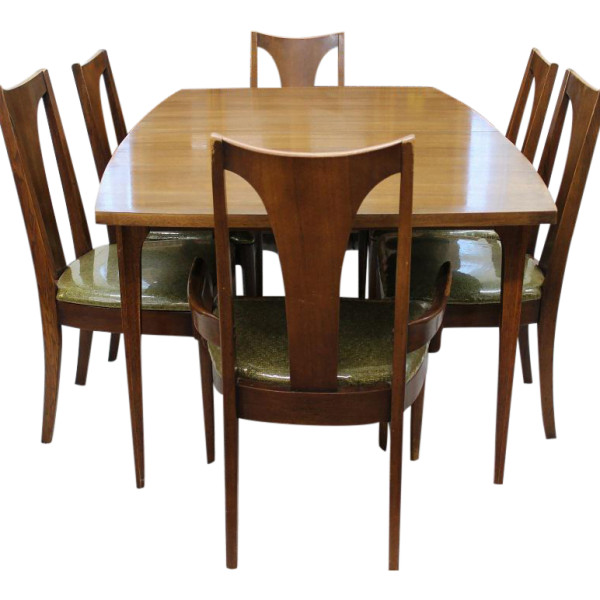 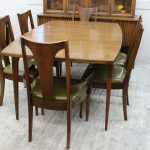 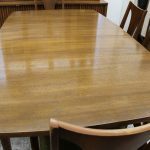 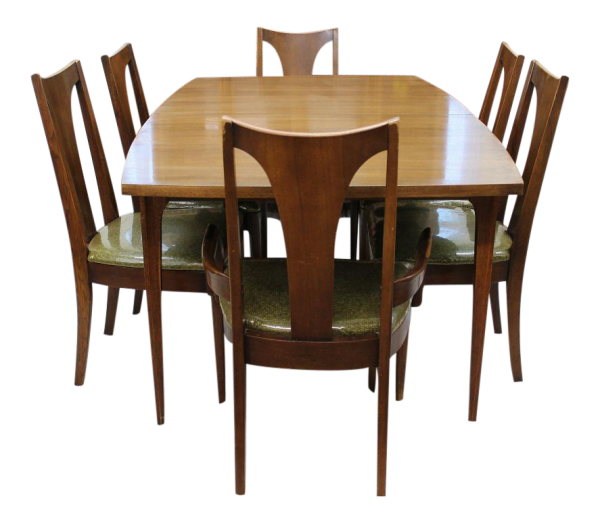 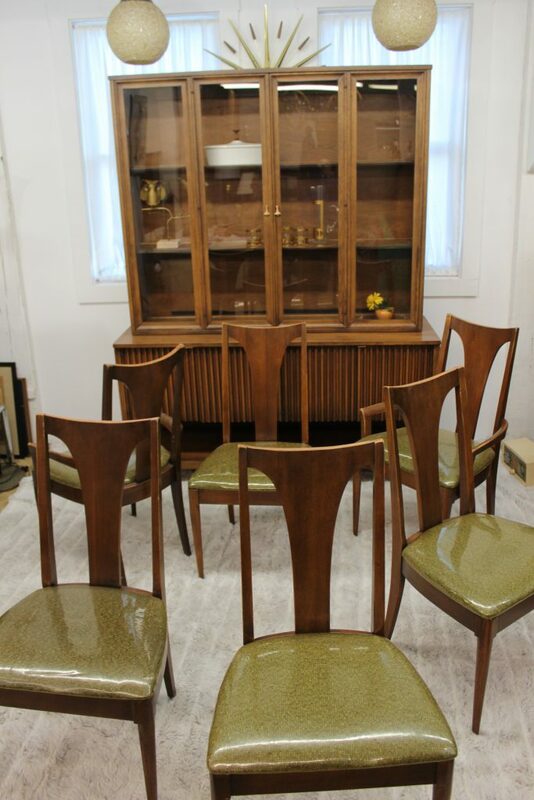 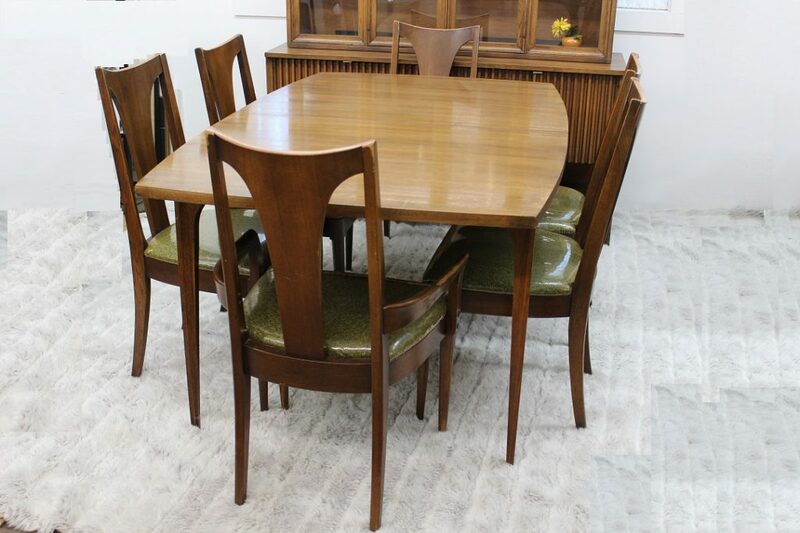 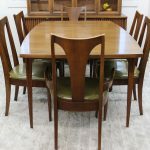 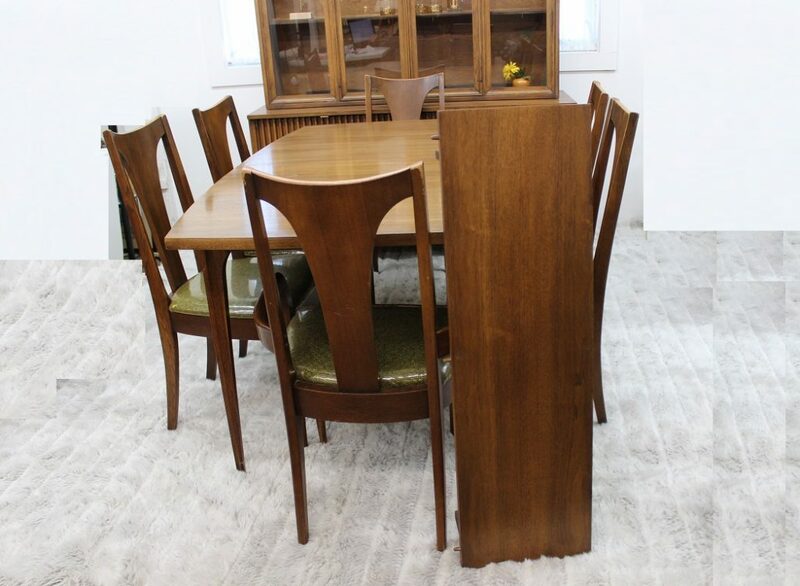 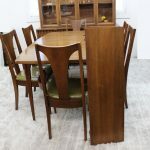 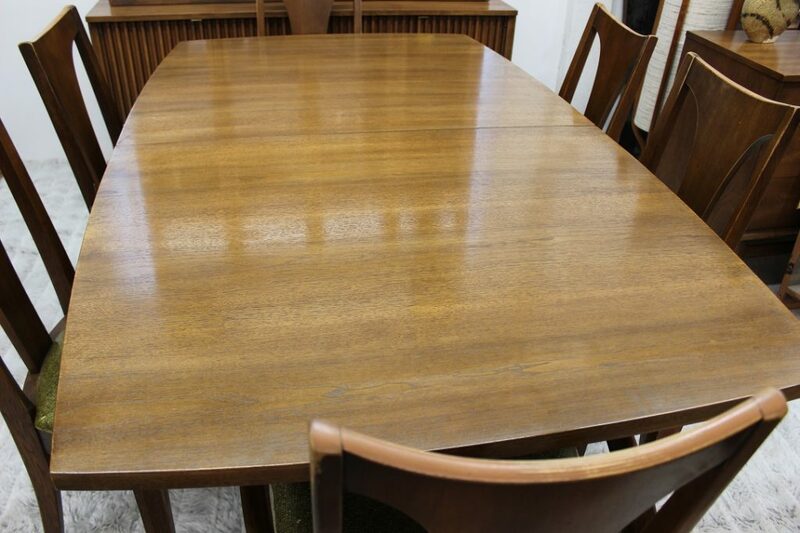 Beautiful Broyhill Brasilia dining set, comes with a table, 6 chairs and a leaf to extend the table. 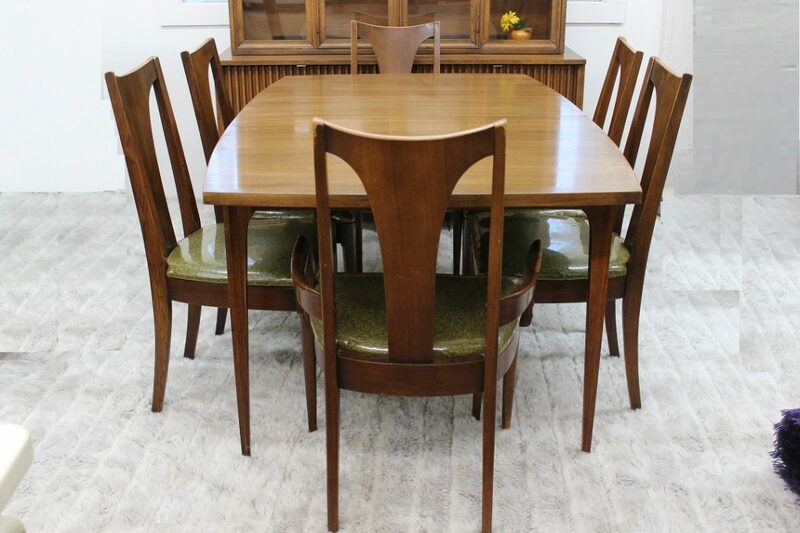 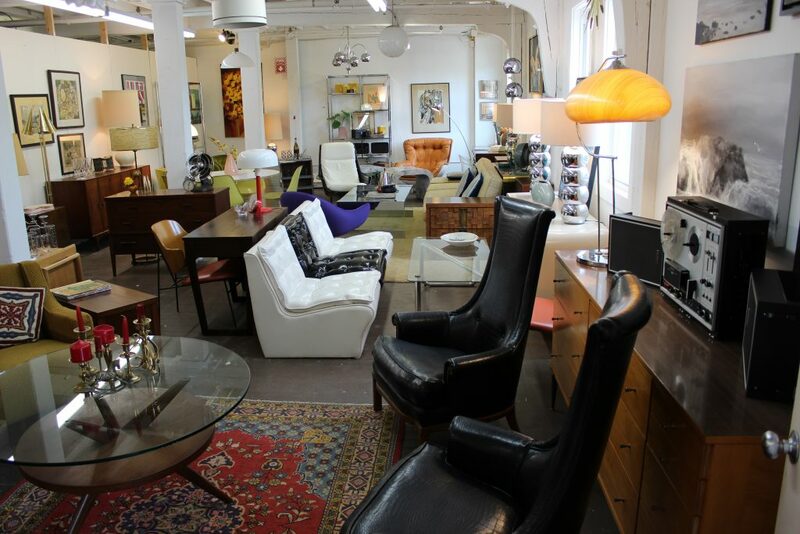 The table is model 6140-44 and the chairs are models 6140-84 and 85. 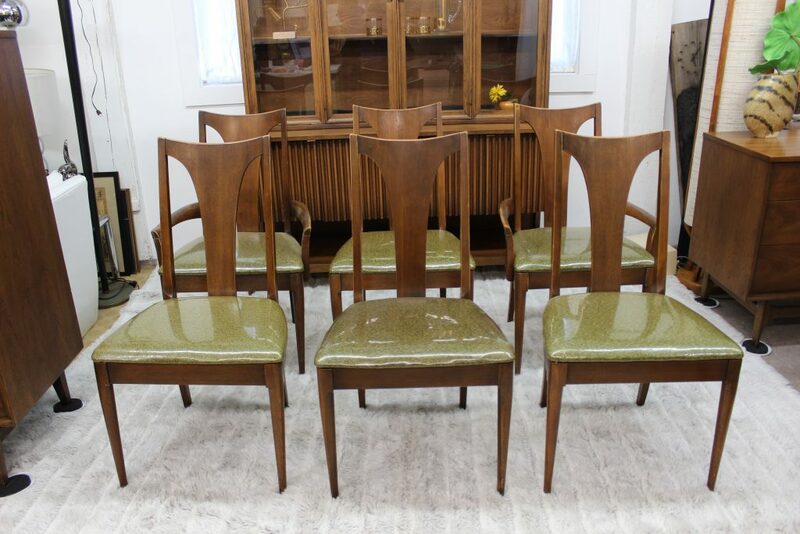 This beautiful set is very sturdy. 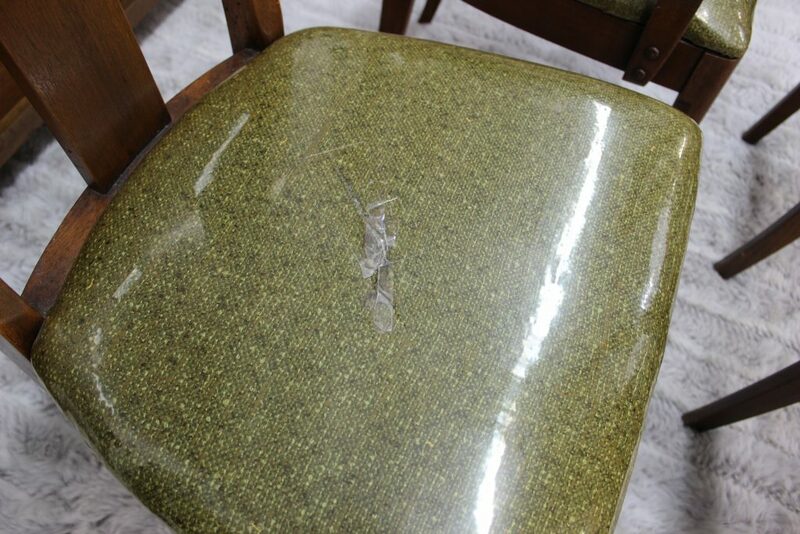 One of the captain chairs has some damage, at some point in it’s life it was broken and repaired. 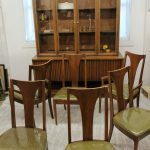 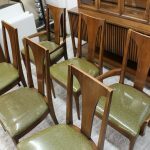 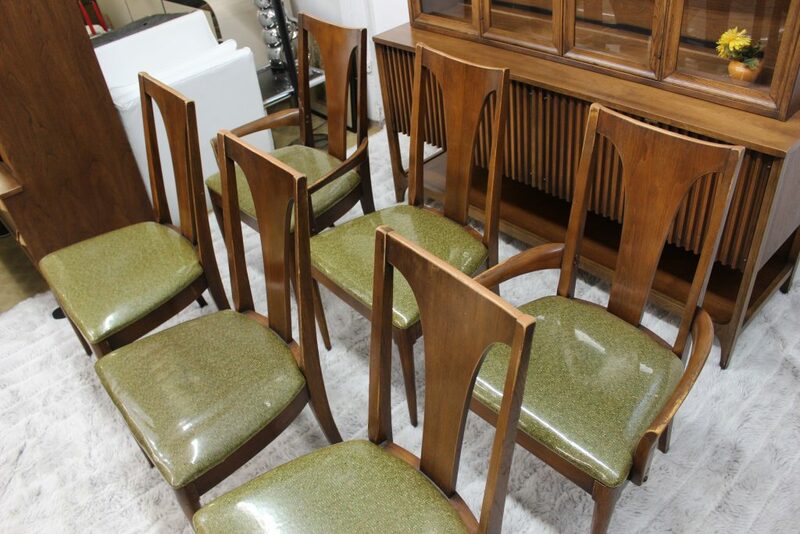 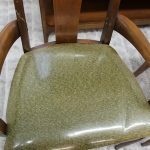 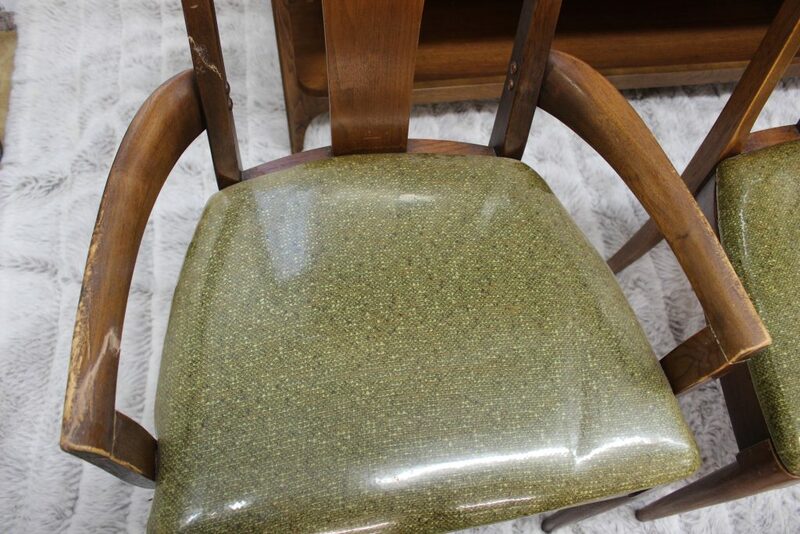 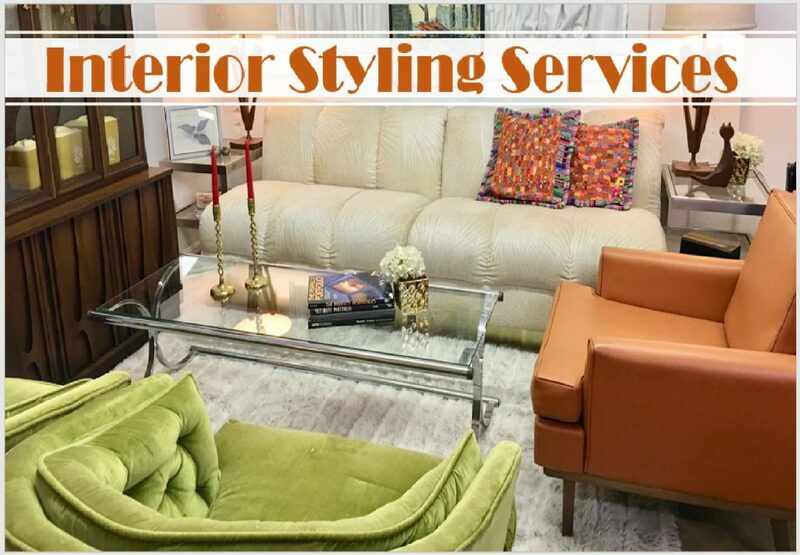 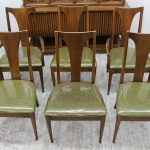 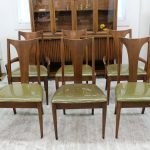 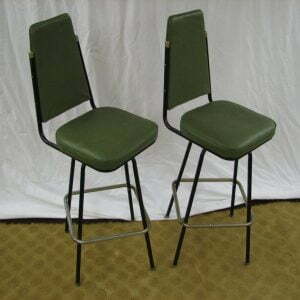 The chairs have to be refinished to bring them back to mint condition but they are all solid and they have the original green upholstery with the original plastic on them. 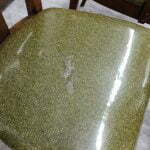 One of them has a tear o the plastic but the upholstery is still intact. 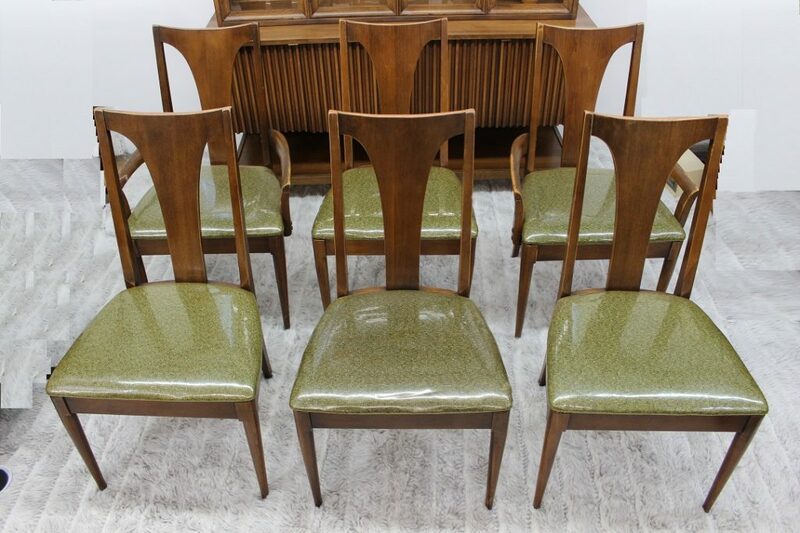 They can be a wonderful addition to any collection. 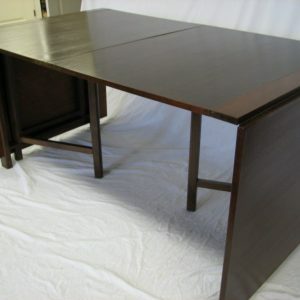  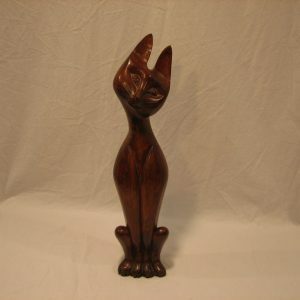 The table measures 66″ x 44″ and the extra leaf is 12″ wide.